Cozy under a blanket enjoying a winter wonderland landscape, it’s hard not to feel warm despite the lower temperatures. The thud thud thud of the horses hooves whisk you through veritable winter wonderlands. Hot Chocolate: Not Optional! 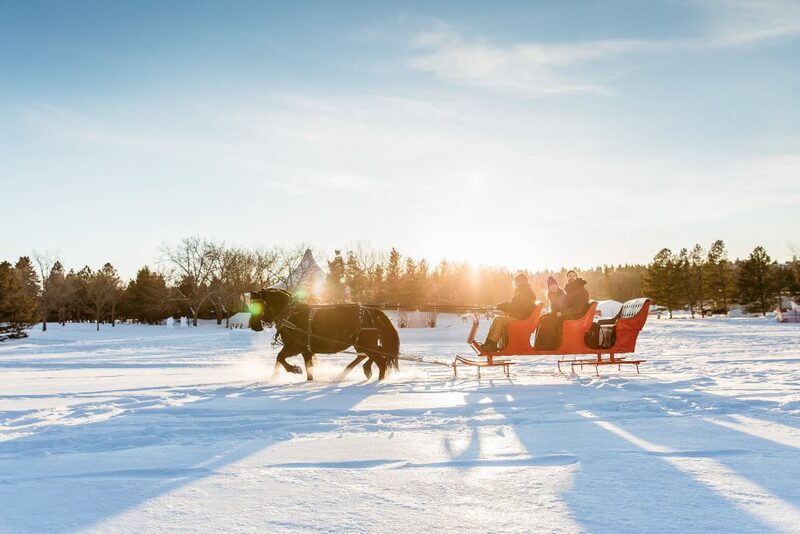 Sleigh-rides are synonymous with Christmas time and we have the best suggestion for a snowy yuletide vacation. A horse-drawn carriage cutting through a perfect winter scene is a truly iconic Canadian sight. Everyone enjoys a sleigh-ride — whether it’s a romantic getaway for a honeymooning couple or a magical experience for the whole family. Let this centuries-old tradition make memories for you and your loved ones to cherish forever.